Hunting and Identifying Magic Mushrooms in Australia is a fun hobby with huge rewards. Just make sure you seek out to find your shroomies when it’s the right season. Magic mushrooms can look like every day, ordinary mushrooms. So, it is important to identify any mushrooms you collect. There are many poisonous varieties. Australia has many species of magic mushies that are easily mistaken for poisonous ones that can cause death. 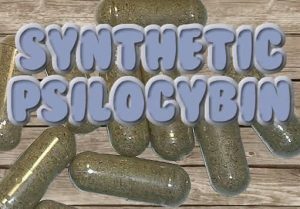 You can buy magic mushies dried in capsules and there is a synthetic form of the psilocybin. It’s a white crystalline powder and it’s used for making tablets and capsules. You can also use it dissolved in water. Australia has at least 30 species of magic mushrooms. The most common in Australia blue meanies, gold tops and liberty caps. We have many articles to read. We hope you enjoy them all. I’m keen to hunt down a few different species of magic mushies. Will I need to travel to far apart locatons or can I find them nearby each other in the same forest/paddy field? Is it season yet to hunt in Mudgee? I’d like to go this week end with someone in the know. Hi can someone please tell me where I can purchase / buy mushrooms from please? I live in Sydney and really want to take my dad on a trip. He is a bit stuck in life at the moment. Please anyone. It’s getting cold down here and chances of finding them soon will be slim. I would really be so happy if someone can help. I’m keen to gather some mushrooms in hobart. I’ve only picked liberty caps in the uk and don’t want to pick the wrong ones. do Australian L caps look the same? Hi , I live in northern Adelaide, I have had mushrooms for 25 yrs every now and then. I wouldn’t mind procuring some of my own rather than Ask around and…. ?. So “WILL ANYONE HELP ME TO FIND ANY GOOD AREAS AND TIMES OF YEAR TO GO. I WOULD BE APPRECIATIVE! !. Good read, I am getting my gear ready to go “identifying” today. I hope to run into a few people in the woods to share some mushroom tea!